Locals and members of the Myrtle Lodge No. 149 participate in a parade honoring the legacy of Martin Luther King Jr. Monday afternoon, Jan. 16, 2012, on Third Street in downtown Joplin. 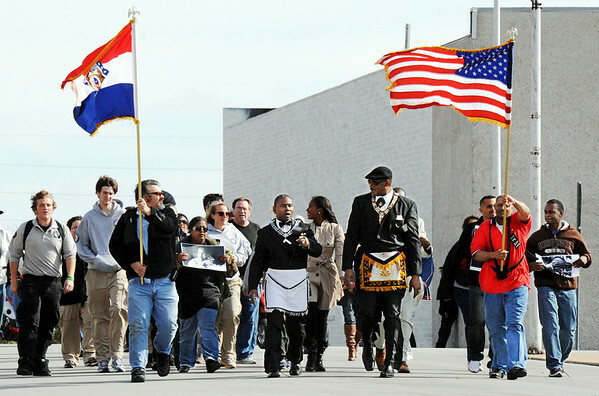 The parade, in honor of the civil rights leader, started at the intersection of Langston Hughes-Broadway and St. Louis Avenue and continued on to the Joplin Public Library.